The upcoming CNN DIALOGUES, “Film and Social Justice: An Ongoing Conversation,” will be held Thursday, April 16, at 7 p.m. The event, presented in partnership with the Center for Civil and Human Rights, CNN and the James Weldon Johnson Institute for the Study of Race and Difference at Emory University, is the first CNN DIALOGUE hosted in 2015 at The Center. Fredricka Whitfield, CNN/U.S. news anchor for the weekend edition of CNN Newsroom, will moderate a discussion around films about social justice, and their role as a platform to help traditionally marginalized groups shine in front of, as well as behind, the camera. Soumyaa Kapil Behrens, director, producer and curator of film and contemporary visual art. She serves as social justice coordinator for the College of Liberal & Creative Arts' Metro Academy, part of a nationally recognized program to help underrepresented students succeed; is on the board of directors at Bona Fide Films; and is president of Bay Area Women in Film and Media. Her short films include "My Garbage, My Neighborhood" and "Climate Change." 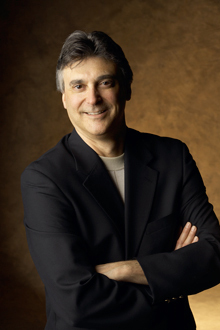 Matthew H. Bernstein, professor and chair of the Department of Film and Media Studies at Emory University. He currently serves on the National Film Preservation Board, which advises the Librarian of Congress about matters of film preservation and the 25 American films named annually to the National Film Registry. Sacha Jenkins, American television producer, filmmaker, writer, musician, artist, curator and chronicler of hip-hop, graffiti, punk and metal cultures. Jenkins was a writer on season one of Boondocks and is finishing up his directorial debut, "Fresh Dressed" — a documentary film about the history of hip-hop fashion—for CNN Films. Rick Najera, nationally acclaimed speaker and award-winning writer-performer-director-producer and author with credits in film, television, theatre and Broadway. Najera has been nominated for two WGA awards: Best Writing for a Comedy/Variety Television Series and for his writing on Fox’s MAD TV. He also authored the award-winning book "Almost White: Forced Confessions of a Latino in Hollywood." Doors will open at 6 p.m. Guests will have the opportunity to view the Morehouse College Martin Luther King, Jr. Collection papers "Strategies of the Civil Rights Movement" from 6- 7 p.m. TICKET INFORMATION: Tickets are $15 for general admission and $10 for students and members of The Center. Tickets can be purchased online; seating is limited and based upon time of arrival. Tickets are available for purchase at http://bit.ly/cnndialoguesfilm. For information about the program, contact Dina Bailey, Center for Civil and Human Rights, dbailey@civilandhumanrights.org.